How Much Is The Current Net Worth of David Beckham? Details here!! English footballer David Beckham's career started at the age of 16 when he signed on to play for Manchester United's training division and later on became one of the most followed and loved footballers of all time. Though the former LA Galaxy player retired from football in 2013 he will always be our favorite. Apart from all the fame and love he also earned a huge sum of money; all thanks to his football career and huge endorsement deals. So, how much do you think David has earned so far? We have all the details of his net worth and properties. How Much Is The Current Net Worth of David Beckham? David Beckham, the former LA Galaxy star player is one of the highest paid athletes of all time. He's not only active in the field of sports; he's proved himself the best in various sectors. As per The Richest, he has a net worth estimated to be around $450 million and he made more than $65 million only in 2017. Though he ended his playing career 4 years ago, he's still a bigger earner than the top Premier League stars. According to the sources, his two companies earned £71,000 a day in 2016. He earned a profit of £8.6 million within seven months from his company Seven Global LLP; which takes care of sales from David's accessory, clothing, and fragrance commercial deals. On the other hand, FootWork Productions looks after his name and image rights which made £11.5m in 2016. Though his career and success began as a soccer player, he collected a large portion of his wealth from brand endorsements as well. In 2001, Beckham signed a $22 million three-year contract with Manchester United and later, joined Real Madrid on a four-year contract for €35 million. In 2007, he created a history when he departed from the MLS earning a total of $255 million till 2012 over six years of time. It was the same year he joined the Los Angeles Galaxy of Major League Soccer. His deal with Galaxy was reported to be for $250 million with five years time duration. His basic salary on the club was $6.5 million per year. In addition to the salary, he earned a percentage of Galaxy revenue that made a total of $50 million within just five years. Reportedly, he also inked a multi-million deal to be the ambassador of the China Super League, the country's soccer association. Soccer star David Beckham has been associated with brands like Adidas to Samsung. He is also the brand ambassador for Sky television and Sainsbury's. Apart from it, he has had many fashion deals with Armani, H&M, Tudor, and Whisky brand Haig. Excited for my boy @BrooklynBeckham and his first visit to Manila this weekend! Get a copy of #WhatISee at Bench stores and catch him at the book signing events on January 13th - 4pm at the SM Mega Fashion Hall and 6pm at the SM Mall of Asia Atrium! In addition, he used to endorse Gillette and his own aftershave brand. Sources say that the British icon has banked $42 million from all the commercial endorsements at present. He currently launched his debut men's grooming brand, House 99. 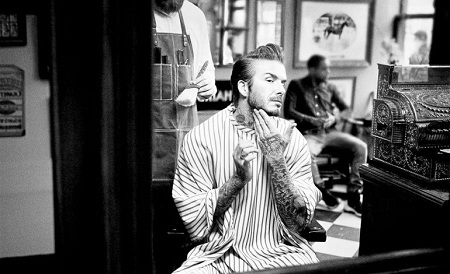 The new brand is inspired by his iconic style combined with British barbershop culture. It is established in partnership with L'Oreal Luxe. The collaboration was announced back in 2016. House 99 is aimed to fulfill the daily routine of hair, body, beard, face, and tattoos. The pricing of the products is yet to be declared. House99 is soon to be rolling to other retailers all over the world from 1st March 2018. David bought his first house in 1996 for £150,000 in Manchester when he was 21 and currently at the age of 42 he owns several mansions in many countries including Los Angeles, London, and France. He purchased his first house in 1996 when he was just 21 for £150,000 in Manchester. He lived in the home with his then-girlfriend model Krista Kemp: the pair broke up in 1997. David also started a journey with now wife Victoria Beckham in the same house when they started living together in 1997. The couple also welcomed their first child; Brooklyn Beckham in the same house. The house, later on, was sold for £190,000 with a net profit of £40,000. 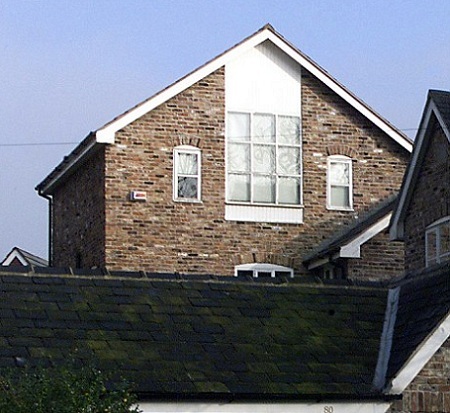 David bought a classic penthouse for £317,000 in August 1998 in Alderley Edge. His wife, being a fashion designer decorated the house with zebra print. In 2002, the couple sold the grand house for £600,000. The five-bedroom house had its own gym and an indoor pool. The couple moved into the house when Victoria was pregnant with their second child Romeo Beckham. They lived there just for two years and sold the house with a net profit of £500,000. 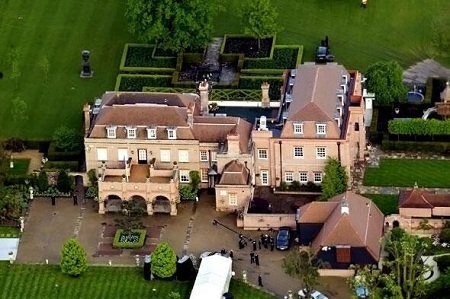 David bought the seven-bedroom house for £2.5 million. It didn't take long for the home to get the nickname 'Beckingham Palace'. 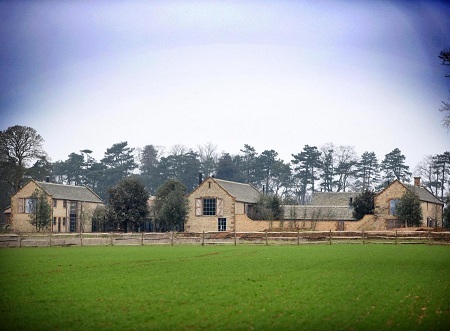 The stunning house covers 24 acres of land which was sold in 2015 with a profit of £9 million. Victoria shared a snap of her beautiful treehouse worth £6.15 million back in December 2017. David, however, may have to destruct the house as it was built before full planning permission. 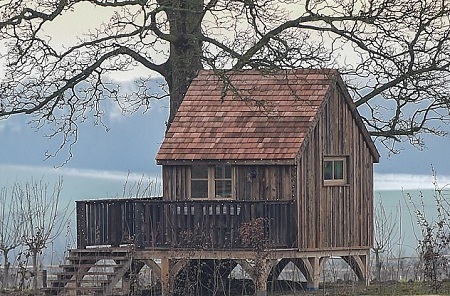 The tree house is the recent addition to the Beckhams estate. It was built before the people nearby was given chance to comment about the six-bedroom Cotswolds home. It has angered many in the local area. David and Victoria bought the grand mansion in December 2016 for £6,150,000. The house is located near Soho farmhouse containing an orchard with 23 different variety of trees. A 'natural swimming pool' is another attraction point of the house. As of now, football legend, his wife and their kids Brooklyn Beckham, 18, Romeo James Beckham, 15, Cruz Beckham, 12, and Harper Seven Beckham who is 6 years of age live at the mansion. Apart from his houses, he has a huge collection of cars: He has a Jeep Wrangler unlimited worth $40,000 and a Porsche Turbo. The star bought the car for $100,000 in 2008 and later sold it on eBay for $134,000 after three years. Reportedly, he personalized it for $50,000. Beckham and his wife bought the Rolls Royce for £300,000. David also owned Camaro worth $100,000 which was put into an auction for £25,000 in 2015. Furthermore, the star also owns a Cadillac Escalade, Bentley Mulsanne, and a gorgeous bike. Among his many philanthropic interests, the soccer player is a founding member of the Malaria No More. He is also a supporter of Help for Heroes, a charity focused on helping injured people returning from Iraq and Afganistan. Beckham is the founder of the Victoria and David Beckham Charitable Trust that provides wheelchairs to the needy kids. Because of his strong dedication to helping children, he was appointed as a UNICEF Ambassador. David and UNICEF released a powerful new movie that basically emphasized on the issues of violence against kids. 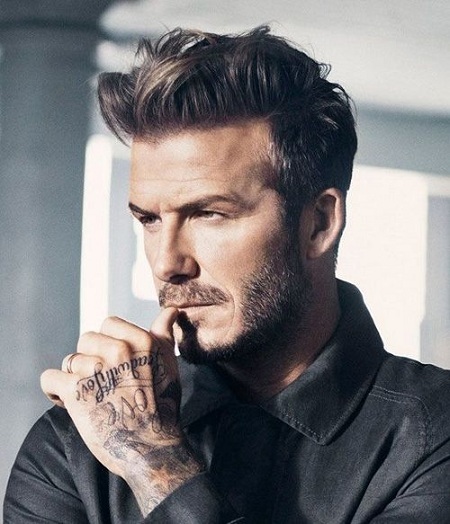 With the launch of 7: The David Beckham Unicef Fund, he's been very active using his powerful global voice, connections and influence raising funds and bringing a positive change for children all across the globe. David is the first English player who won the league titles in four countries including England, Spain, the United States, and France. Before his retirement in May 2013, he achieved 19 major trophies after a 20-year long career. He's best known for a wide range of passing, crossing ability, and bending free-kicks. He was twice the runner-up in FIFA World Player of the Year. In 2004, he was listed in FIFA 100 list of the world's greatest living players by Pele. In 2008, he was inducted into the English Football Hall of Fame. He grabbed six Teen Choice Awards in 2006, 2008, 2009, 2010, 2012, and 2013 with a Kids' Choice Sports Awards in 2014. Born on 2 May 1975 in Leytonstone, London. Stands at a height of 6 feet (1.83m). Studied at Chase Lane Primary School and Chingford County High School. He signed for Manchester United as a trainee on 8 July 1991. Also played for Preston North End, Real Madrid, Milan, LA Galaxy, Paris Saint-Germain, and the England national team.